Spouse, father, woman, business owner and trans-activist are all words that describe Corinne. 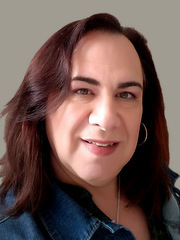 A recipient of the YWCA's Mission award for her work on behalf of the trans community, Corrine is a professional speaker and trainer by profession. She is also one of the leaders of Lehigh Valley Transgender Renaissance where she is responsible for its website, educational and social programming. She also volunteers with the YWCA and the United Way. She works closely with other leaders in the LGBT community and writes a quarterly column on transgender issues for The Gay Journal.